A few weeks ago I set myself the challenge to shape up a little for summer. Here are some of the incredibly handy power tips I've learned along the way. Welcome to Gizmodo's Get Fit For Summer challenge, powered by the advanced new Fitbit Charge. Each week Danny will be tracking his progress with Fitbit's mobile dashboard and online tools. Mapped routes, steps taken, distance traveled, calories burned, floors climbed, active minutes and more. The silly season has lots of sweet and delectable distractions, but once Fitbit sent me over a Charge to track my results and share them with you, I knew I had to stay the course dammit. It's actually been quite fun. Have you tried IFTTT yet? It's an awesome Web service, and now Android/iPhone app, that plugs into all kinds of popular apps and platforms — including Fitbit — to let you do neat stuff automatically. Like auto update your Twitter profile pic when you change it on Facebook. In IFTTT speak, apps and services are dubbed Channels, and the connections between them are called Recipes. You can easily make your own, or search through huge lists of trending and popular Recipes created by other users. And as a Fitbit user, there are lots to choose from. • Step 1: Install the IFTTT app and, if you're not already a user, register for free. • Step 2: Authorise your Fitbit connection. Go to the channels section, search for Fitbit and hit Activate. • Step 3: Navigate back to the Recipes section of the IFTTT app, search Fitbit and go crazy. (You'll need to similarly add/authorise Channels for whatever app/service you'd like to connect to, of course. Many common phone functions are ready to go by default). Automatically get a text message reminding you to go for a walk after dinner if you've not already hit your daily step goal. Send an email to remind you to charge your Fitbit in case you're prone to flick away notifications and forget later. If you own a Philips Hue Wi-Fi smart light, have IFTTT automatically turn on the lights when Fitbit detects that you've woken up. There's lots of cool stuff to try — even automatically warn Twitter friends if you haven't slept well! Browse stacks of great ideas at ifttt.com/fitbit. Behaviour hack: As I mentioned at the start of this series, I was initially finding it hard to hit 10,000 steps a day. Your mileage may vary, literally. Walking during my lunch break helped some, as did taking my golden retriever for extra walks. The real light bulb (aka captain obvious) moment occurred when I started getting up and walking around during phone calls at work. Also walking over to someone's desk instead of picking up the phone. Jobs around the house now have a gamification angle (though I still need a Dishwasher) — and I've been scouting for every opportunity to take the stairs. I've become the T-800 terminator of 10,000 steps. No fate but what we make. A few months ago, the Fitbit app added a MobileRun feature that uses your phone's GPS to track and map your routes — and update your dashboard with all the stats that go with that. Calories burned and active minutes plus real-time access to pace splits, distance, time and more. This functionality is hard to find if you're a beginner. From your dashboard: press Track your exercise then hit add tracking (the stopwatch icon) at the top-right of the next screen. By default, you'll now be on the Log Previous tab where you do all your manual logging. Click the Tracking tab along the top-left and you'll be ready to track your runs, walks or hikes in real-time. If you're an Excel nerd like me, you may start to wonder if you can export your Fitbit data so you can experiment with further analysis of your own. You definitely can! • Option 1: A Fitbit Premium membership ($49.99 per year) lets you export your Fitbit data really quickly as an XLS or CSV file, for whatever period you'd like to see. This includes food logs and sleep data. • Option 2: Use an IFTTT recipe to access some of your data. And even, say, automatically sync it with a Google spreadsheet. For Fitbit, IFTTT triggers can be activated by a daily activity summary report or achievements each day for steps, distance, floors climbed and calories burned. The daily summary is the one that's most useful for exports. See Fitmodo: Export Your Data To Get More From Your Fitness Tracker. Exporting your data is really only a side benefit of Fitbit Premium. The primary gain: serving as a digital coach to review your activity and calculate a personalised 12 week fitness plan. You get more detailed week-to-week reports and adjustments plus interactive benchmarks to compare your weight, activity and sleep with others in a similar physical condition. More here. Dip your toes in the water with the free 14 day trial. Go to the premium tab when logged in via a web browser and click Start Free Trial. Health, powered by Apple's HealthKit API, is one of the many new features of iOS 8. Apple's effort to centralise all your fitness data. However, as things stand, Fitbit "does not currently have plans to integrate with HealthKit." If your heart is absolutely set on using Apple Health, the unofficial Sync Solver ($1.99 from the App Store) syncs your Fitbit data in the background multiple times a day; though not continuously like the Fitbit app. File this one under extreme counter measures too interesting not to include. Last year Charalampos, writing at Building Internet of Things, came up with the crazy idea of using the Fitbit API — together with a Belkin Wemo switch — to hold his fridge hostage. That is, cut the power to certain appliances if he hadn't reached his Fitbit goal. Now I certainly wouldn't recommend spoiling your food, but it could be a novel approach were it applied to something less extreme like your TV or PS4. 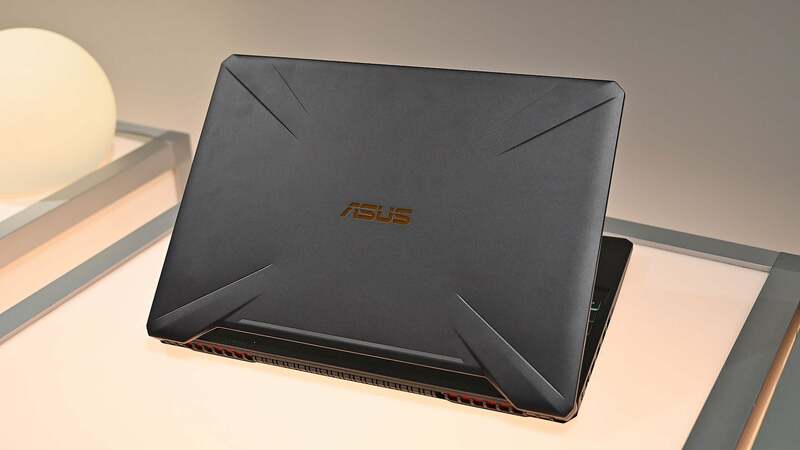 That said, my lazy arse would just fire up the laptop to get my House of Cards on. Speaking of which, the team over at Netflix coded an interesting prototype feature during its 24-hour hack day earlier this year. The simple concept: access your real-time Fitbit data (via the Fitbit API) to determine if you fall asleep watching a show. Then easily pick up again from the point where you crashed. Genius. No word yet on when (or if) the experiment will actually get released. I definitely recommend searching the iTunes App Store, Android Play or Windows Phone Marketplace for Fitbit-related apps. My favourites right now: DashClock for Android lets you quickly see today's Fitbit stats on your lock screen and FitRPG (also available on iOS) turns your Fitbit into a game you can play with friends. On Windows Phone, the official Fitbit app is also beta testing Cortana voice support to make logging foods easier. 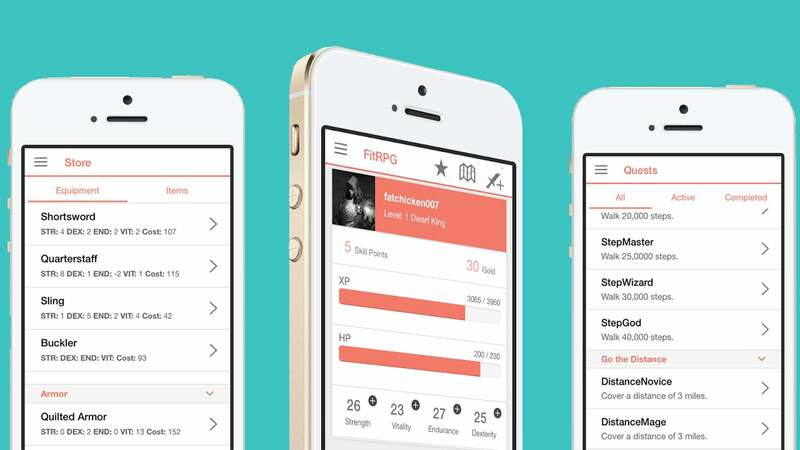 FitRPG turns your Fitbit into a game you can play with friends. I've been using Fitbit's Aria scales to monitor my progress over the last few weeks as I've written this series. As you'd expect, they wirelessly sync with my Fitbit dashboard. A no fuss convenience that just makes sense. The scales also estimate body fat percentage and support multiple users. Jawbone user in your house? There's a ready-made IFTTT recipe for them to sync their weight too. Withings also makes a smart scale capable of measuring weight, body composition, heart rate and even air quality. Similarly, there's an IFTTT recipe to log Withings data back to Fitbit.